Have you been searching used car dealerships near you for used trucks for sale but have yet to find the right used truck for you? Then make the short drive to Acra Automotive Group car dealerships in Greensburg, Shelbyville or Columbus, IN. With four different locations, we have a large and diverse selection of used trucks for sale at our Acra Automotive Group car dealerships. Acra Auto Group has everything from personal use used trucks for sale like the 2014 Ram 1500 Big Horn to a 2011 Ford Ranger commercial work truck for sale. If commercial used trucks for sale are what you are after, the 2011 Ford Ranger XL may be the right one for you at Acra Automotive Group. The economical 4-cylinder 2.3-liter gets an impressive gas mileage for 22 miles per gallon in the city and 27 miles per gallon on the highway on the 2011 Ford Ranger XL. An easy to maintain vinyl interior, air-conditioning and an AM/FM stereo help to make the drive home a little more bearable after a long day of work in this used 2011 Ford Ranger XL Truck for sale at Acra Automotive Group. Come to take a test drive in the used 2011 Ford Ranger XL at Acra Automotive Group today. 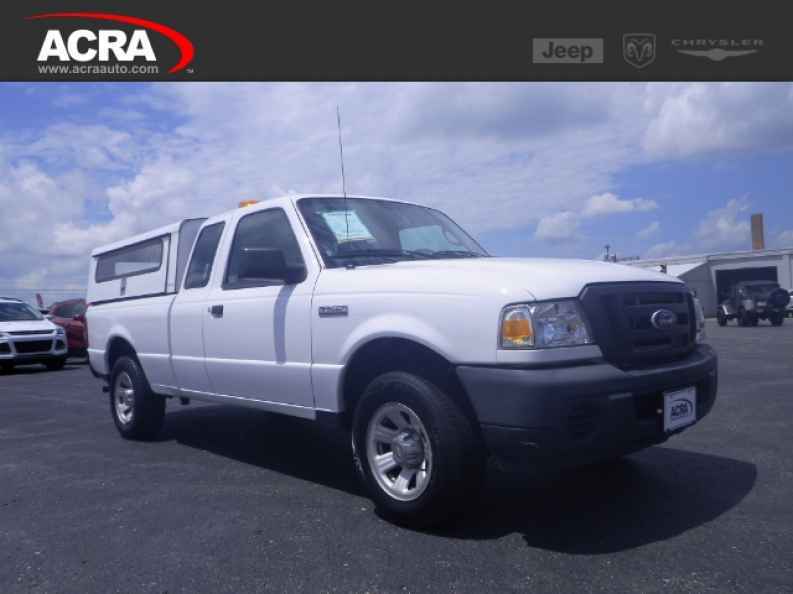 Whether you are searching for 2011 Ford Ranger XL commercial work truck or one of our other commercial used trucks for sale, Acra Automotive Group has the commercial work truck for you. You can find the Acra Automotive Group car dealerships at Acra Chrysler Dodge Ram at 1407 North Lincoln Street in Greensburg, IN, Acra BuyRight at 920 North Michigan Avenue in Greensburg, IN, Acra Pre-Owned Superstore at 2820 North National Road in Columbus, IN, and Acra Pre-Owned Superstore at 1200 East State Road 44 in Shelbyville, IN.